Bogman, John and Justin take a look back at the terrible, awful, no good week 10 in which Texas lost on a 2pt conversion! The playoffs are here for a lot of us so we breakdown some great potential pickups, talk about the high O/U games, banish people/things to The Negative Zone and make some Bold Predictions! Yeah, Yeah, no missles on Latonya Guy is that they will! Bogman and John talk about the massive week 8 Purdue upset of Ohio State, the pregame shenanigans between Michigan and Michigan State and who you can add for week 9 and beyond from the wire. We also tell you who our Fantastic Four is, banish people to The Negative Zone and make some bold predictions! TEXAS WINS! And Bogman rejoices in this week’s episode! 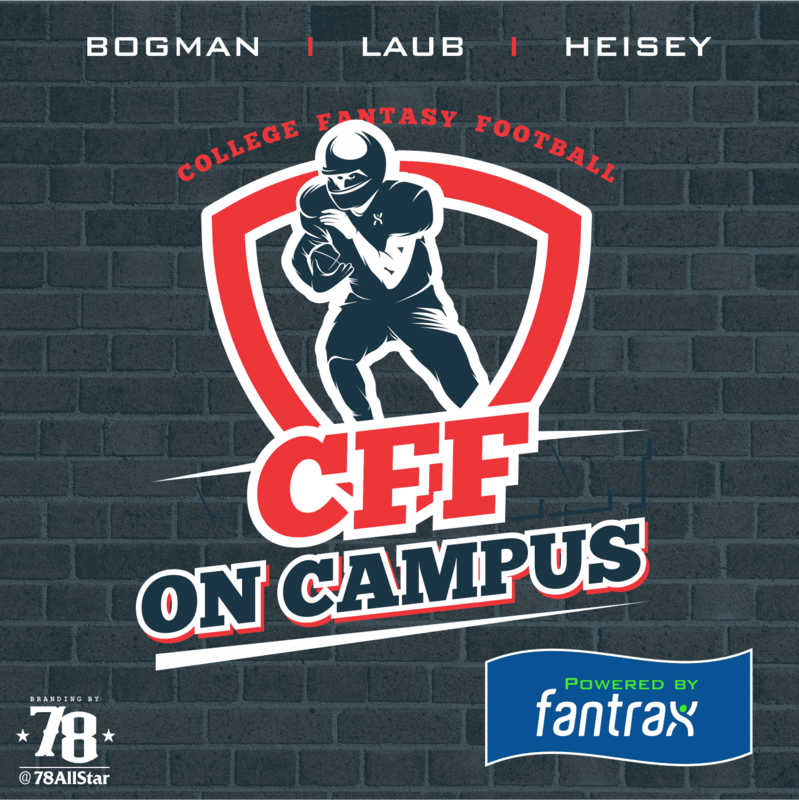 We also talk about the rest of the madness from week 6, Heisman favorites and waiver wire pickups! After those we dig into the upcoming week 7 that has a ton of teams on bye but also a lot of games that have high overs. We also do our Fantastic 4 segment, banish people/teams/ideas to the negative zone and make bold predictions! In this episode week go over the happenings of week 5 and take a look forward to the week 6 action. Someone is 2-0 against their co-hosts now! Week 6 has a lot of obscure high over games, so there are some moves to be made if your regular starters have bad matchups or a bye week! The Bold predictions are emphatically laid down this week as well! Bogman, John and Justin put a bow on the crazy Week 4 that was filled with upsets and crazy stat lines! We also give you a few waiver wire suggestions, talk about the week 5 high O/U games, give you sleepers, banish things to The Negative Zone and make some bold predictions! What a crazy week 3 it was, Hurricane canceled games, major upsets, big time performances and the trickiest punt return ever! Week 4 looks even more promising, 12 games with O/U of 65 or higher! We sort through these games and give you some startable streamers as well! 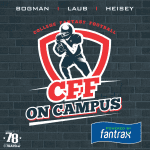 In this episode of CFF On Campus we go over all of the action of week 2 and preview the games in week 3. There have been a lot of cancellations because of Hurricane Florence so be sure to keep on the lookout for more! Week 1 is in the books, Bogman, John and Justin take a look at the actions and react to the scattered depth chart information that is new to everyone! We also go over some pickups and starts for week 2, banish people to the negative zone and make some bold predictions! 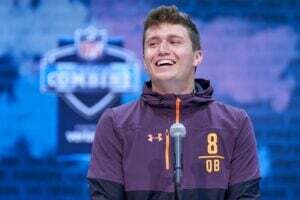 Bogman, John and Justin go over week 0 revelations like Hawaii Sophomore sensation Cole McDonald and the Wyoming play defense and pound the rock strategy that could make RB Nico Evans valuable. We also take a look at some of the games with big overs and had some bold predictions for week 1!